Photographing Naples for Neapolitan Magazine is always such a pleasure. Firstly, I love the drive to Naples from Fort Lauderdale because it cuts through the heart of the Everglades. As a landscape photographer, I love the Everglades. Secondly, I just happen to love the feel and sophistication of Naples. For this particular session, as I drove closer to Naples the weather started getting a bit rough. Though the rain and lightning were threatening my photo session, it also provided me with a chance for a wonderful sunset if the clouds moved just a bit to the west. Well, the the weather Gods were on my side that afternoon because I stepped into a beach that was aglow with a mixture of clouds and sunset colors. 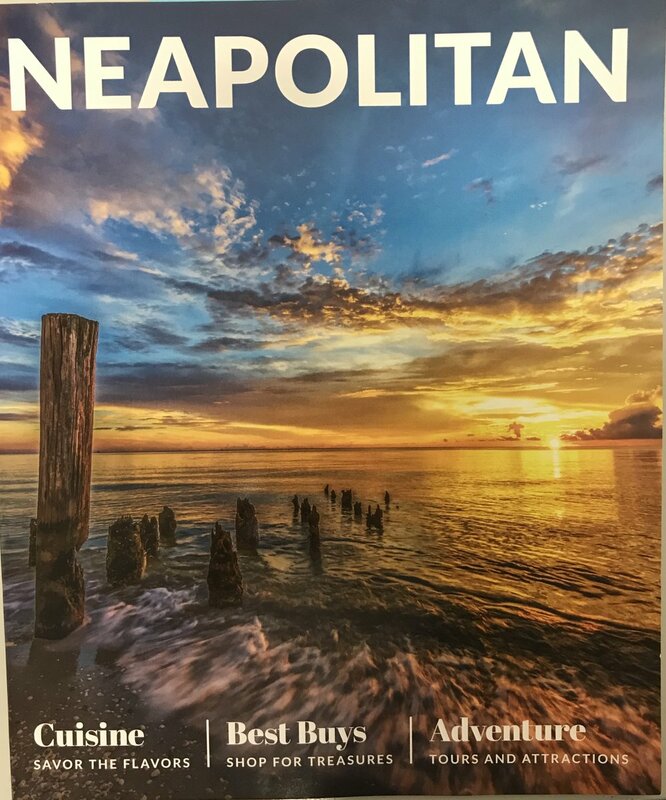 Thankfully, I was able to take the necessary shots to supply Neapolitan with a cool image for them to use (page 25). You can see the magazine here. I ended up with several images of the iconic Naples pier with the sun setting behind it. You can check out some of these images by visiting my portfolio.